Only women get unsightly ropy, bulging varicose veins on their legs, right? Think again. 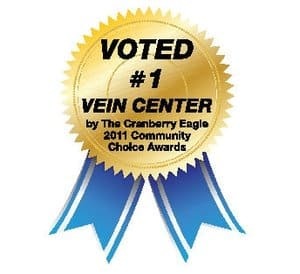 Granted, it’s true that women do experience vein problems more frequently than their male counterparts. 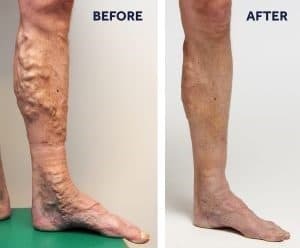 By some estimates around 90% of varicose vein patients are female with varicose vein men making up the remainder. So do men get off easy when it comes to varicose veins? Not really. On average, males have larger leg veins than females. This means that what men lack in frequency they more than make up for in severity. Fortunately, there are minimally invasive solutions which have proven extremely effective on males and females alike. So if you’re less than thrilled with how your legs look (and feel) then read on. You’re in good company, in fact. Over 5 million American males currently have varicose veins which are severe enough to warrant treatment. The same factors put both genders at risk, including standing for long periods and high-impact activities like running. A genetic predisposition is also thought to play a large role. For many men vein problems are more than just unsightly. Varicose veins and the underlying vein disease which causes them can be uncomfortable or even painful. What’s more, in rare instances they can be dangerous. All large veins have one-way valves which are supposed to keep blood flowing in the right direction—towards the heart. When these veins become stretched out or otherwise damaged blood begins to trickle back down the legs. This directly causes the formation of varicose veins. Note that this process also causes the legs to feel achy, heavy, and to visibly swell. Unchecked vein disease, in very severe cases, can also pose a health risk. Over time, the excess fluid which collects in the feet and ankles can cause the skin to break down. This may lead to painful ulcers which won’t heal on their own without professional wound care. This type of ulcer can easily become infected as well. It’s also possible for blood clots to form in diseased leg veins. When this occurs it’s known as a Deep Vein Thrombosis (DVT). In extremely rare cases these clots can break away and become lodged elsewhere in the venous system. When this happens in the lungs it’s known as a Pulmonary Embolism (PE). This is a potentially life threatening condition which requires emergency attention. Several simple lifestyle changes may help manage your symptoms and possibly halt the progression of vein disease. They will not, however, reverse the process. Compression stockings are perhaps the most widely known conservative treatment for varicose veins and achy legs. Periodically elevating the legs above heart level, e.g. “putting your legs up,” can also help. Over the counter Non-Steroidal Anti Inflammatory Drugs (NSAIDs) such as Motrin and Aleve may provide relief as well. 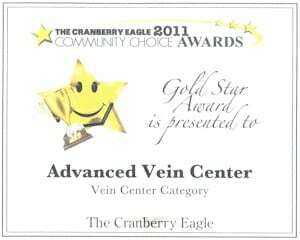 Modern minimally invasive treatments can solve your vein problems for good. 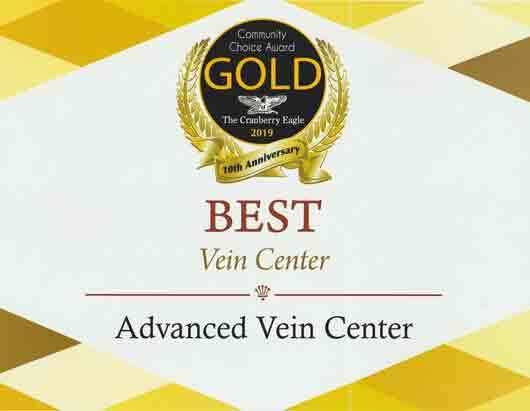 As alluded to above vein disease is an ongoing process which won’t get better on its own. Fortunately, two treatment methods are in wide use today which not only relieve symptoms but halt the disease process permanently. The first is known as an ambulatory micro-phlebectomy. 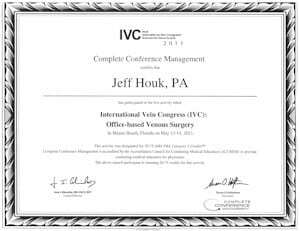 This involves the surgical removal of thick, ropey surface veins. 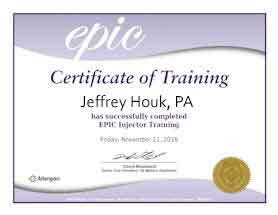 It’s a simple one-hour procedure that can be done right in your doctor’s office using only local anesthetics. Once the vein is gone it’s gone for good—it’s been physically removed and can’t grow back. 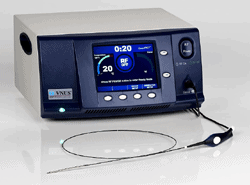 The second is known as Radiofrequency Ablation, often referred to simply as “RF.” This treatment uses specialized catheters to collapse unwanted veins. Once this is accomplished the vein in question is naturally absorbed back into the body. After about two months it’s as if it were never there. Interested? If you’re ready to take action there’s a good chance that one of the above procedures can help. They’re both permanent solutions, and if you’ve got physical symptoms then it’s likely your insurance will cover the cost. 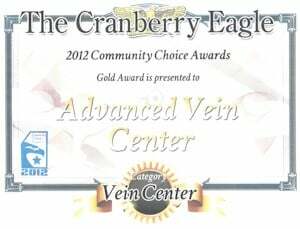 Take the first step and call the Advanced Vein Center in Cranberry, PA at (724) 987-3220 today to discuss your options. 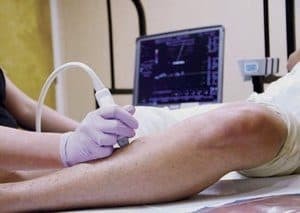 Why are varicose veins almost always found on the legs? 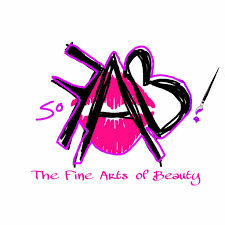 Why not on the arms, chest, or even the neck and face? Or for that matter why do many people with varicose veins also develop physical symptoms such as swollen, achy legs? For starters, the veins in the legs are generally larger than those elsewhere in the body. The underlying issue, however, is gravity. Ultimately, the reason why you’re much more likely to develop thick, bulging varicose veins on your legs is a matter of physics. First let’s talk about the different functions of arteries and veins. It all starts with the heart. At the risk of stating the obvious, the heart pumps oxygen-rich blood to all of the parts in your body. When blood enters the heart it’s then squeezed out, under considerable pressure, into arteries. All that’s needed to keep blood flowing in the right direction, away from the heart, is the pressure produced by its pumping motion. Gravity, or any other outside force, has very little to do with it. Now for veins. In many ways they’re the opposite of arteries in both form and function. The body’s arteries have thick, tough walls which can handle the high-pressure blood coming from the heart. The walls of veins aren’t nearly as thick, and they don’t need to be. The purpose of veins is to conduct oxygen-poor blood back towards the heart. Unlike the arterial system, the blood in the body’s veins operate under very low pressure. The force generated by the pumping motion of the heart is just about spent when the blood reaches the venous system. This begs a very important question. We’ve established how arterial blood is pumped away from the heart. 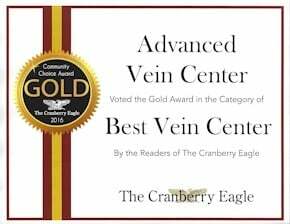 How, then, does venous blood make it back to the heart?To keep blood flowing in the right direction your veins rely on a system of one-way valves.